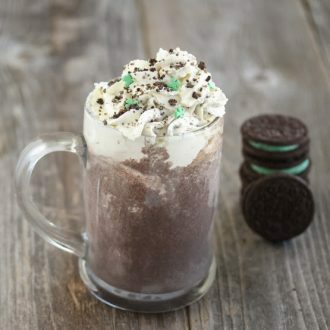 I love cookies and cream shakes and this one has a minty twist! Blend everything together in blender until smooth. Serve immediately. Top with whipped cream if desired.